The NCEF Board of Trustees drives our mission of promoting consumer financial education through pro-bono financial advice. Trustees serve a two-year term. The Board typically meets monthly by phone to discuss the direction of the Foundation and determine priorities. Trustees also serve on a committee of their choice. Click here for the NCEF Board of Trustees Application. Skip is the Managing Director of Advisor Advocacy & Industry Affairs for TD Ameritrade Institutional. Schweiss is also president of TD Ameritrade Trust Company (TDATC) which offers retirement plan solutions and services for independent RIA's and third-party administrators using TD Ameritrade's trust platform. He has been a board member of the NCEF since 2013. Jennifer is a NAPFA-Registered Financial Advisor and founder of Integral Financial Planning LLC. Jennifer attended the University of Illinois in Champaign/Urbana from which she graduated with high honors and a bachelor of science degree in Accountancy. In 1994, she passed the Certified Public Accountant (CPA) Exam and began working for Arthur Andersen, LLP in Chicago until 2001. In 2002, Jennifer began a career in personal financial planning and obtained her Certified Financial Planner (CFP®) designation. Jennifer served on the NAPFA Midwest Board of Directors for four years as chair, president and membership director. Jim is the founder and owner of Financial Strategies, Inc. one of the leading Fee-Only financial planning firms in Brookfield, WI, and has over 25 years of experience in financial planning and investment advising. Jim has been a NAPFA-Registered Financial Advisor since 1996, is currently a NAPFA National Board member, and serves on the NCEF Board. In addition to his services with NAPFA, Jim currently serves on the board of directors for the Wisconsin Parkinson Association. Ann currently serves as the consumer representative on the NAPFA National Board of Directors. She earned an M.S. in Operations Management from the University of Arkansas in 1980 and a Ph.D. in Human Environmental Sciences (Family & Consumer Economics) from the University of Missouri-Columbia in 1988. From 1987 until 1996, she taught at Kansas State University where she was instrumental in the creation of K-State’s CFP® Board registered undergraduate program. Dr. Coulson next directed the Institute for Personal Finance in Chicago, whose purpose was to educate financial and housing counselors. After operating her own Fee-Only financial planning practice from 2005 to 2010, she returned to academia, and currently teaches undergraduate and graduate level classes in financial planning at Kansas State University. Dr. Coulson is the recipient of the prestigious Conoco Undergraduate Teaching Award. Ms. Gibson has owned and managed Eastern Maine’s only NAPFA -Registered Financial Advisory firm since 2001. With more than 25 years of investment experience in Eastern Maine, Ms. Gibson’s approach to financial management combines experience and professionalism in a friendly, comfortable and unpretentious atmosphere. Her philosophy is to enable clients to take control of their own financial circumstances with confidence through education. Michael is founder and President of JoycePayne Partners. As such, he is responsible for overall investment strategy, management of investment portfolios and financial counseling services. Michael received a B.S. degree in finance from Pennsylvania State University and an MBA from Drexel University. He is also a Chartered Financial Analyst. Michael is former chair of the NAPFA National Board of Directors, past president of the NCEF, and former vice-chairman of the Board of Directors of the Virginia Small Business Financing Authority. He is the treasurer of the Benedictine Education Foundation, serves on the Board of Advisors for the VCU School of Business, and has been on the NCEF Board since 2005. Brenda has been a fee-only financial advisor for more than 21 years, and has helped hundreds of clients plan their financial lives. Her passion is developing long-term relationships with her clients and tailoring her services to their individual needs. Brenda has been both an NCEF donor and volunteer with Building Homes for Heroes where she provided financial planning for veterans. She currently serves as the National Representative for NAPFA’s Leadership Development Committee and is extremely active as a volunteer in her community. Steve is a vice president of T. Rowe Price Group, Inc., and T. Rowe Price Investment Services, Inc. He is also the head of platform services within the US Investment Services division, responsible for the distribution of investment products through third-party platforms and advisors. 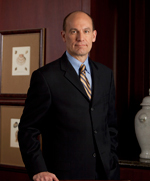 He has 26 years of industry experience, all of which have been with T. Rowe Price. Prior to his current position, he was general manager of wealth management services. Steve earned a B.S. in business administration from Towson University and an MBA from University of Baltimore. He is a past board member of the Financial Planning Association of Maryland. Steve is a Series 6, 7, 24, 63, and 65 registered representative. Jaime started Milne Financial Planning and became a NAPFA member in 1996 after working as a MassMutual agent and in banking. As a “happy and solo” practitioner, Jamie has three offices in Vermont: South Burlington, Barre and St. Johnsbury. Jamie is currently Vice President of the NCEF. He also served on the NAPFA National Board of Directors from 2002-2005, and as chair of the NAPFA National Board of Directors in 2004. In addition to his services with NAPFA and the NCEF, Jamie serves as treasurer of the Thaddeus Stevens School in Lyndonville, Vermont, as well as secretary of the St. Johnsbury Rotary Club. 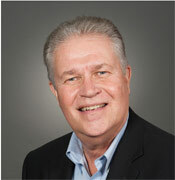 Jim is a NAPFA Registered Financial Advisor® and has served on the NCEF Board of Trustees since 2006. He has been providing fee-only financial advice for twenty-seven years, most recently as a founding member of Partners in Financial Planning, LLC, where he serves as managing member. He has been a member of NAPFA since 1994 and served on the NAPFA National Board of Directors from 2005-2009. 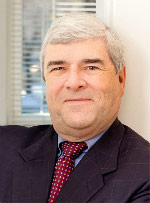 Currently Jim serves on several nonprofit boards in the Salem, VA area. He seeks to live his life based on the principle of Ut Prosim (That I May Serve), the motto of his alma mater, Virginia Tech. Dale is the Strategic Partnering Consultant working with Pinnacle Advisor Solutions, a division of the wealth management firm Pinnacle Advisory Group. His 25 year’s experience includes national management positions and collaboration with hundreds of independent financial planning firms. He has served on the Board of Directors for the Financial Planning Association, as a Trustee for the Foundation for Financial Planning and he is a FINRA neutral arbitrator. Dale joined the NCEF Board of Trustees in 2018 and serves on the Communications Committee.